20% off your 1st order. Quote "MARINE2015"
PM Surf shop in South Wales was established in 1980 and has over 30 years experience within the surfing industry. Our South Wales surf shop has a huge array of surfboards, bodyboards, skateboards, wetsuits, footwear clothing and everything a surfer could possibly need from the widest range of surf and skate brands. It's a new look for the South Wales surf shop, PM Surf. Based in Porthcawl, South Wales, the shop is close to a host of great breaks, and a stones throw from Swansea and the renowned breaks of the Gower peninsular. The staff has great local knowledge of Rest Bay and surrounding beaches and are able to give great advice on surfing. We have a wide selection of wetsuits for men, women and children available online and in store, including some fantastic brands such as ONeill, Animal, Alder, Body Glove and more. Find the perfect wetsuit for winter or summer so that you are protected and kept at the right temperature in the water. After all, if you feel comfortable you can keep surfing or boarding for longer! The winter wetsuits are full length wetsuits usually with a thickness of around 4 or 5 mm. Styles often have thicker material on the torso for keeping your core warmer and a slightly thinner material on the arms and legs for easier movement. Keeping warm is great but you need to have the flexibility in the water too. Our summer wetsuits are available as full length or as shortie wetsuits in a range of thickness combinations around 3mm or 2mm. Even in warmer waters you still may require some protection and warmth, as the longer you stay in the water the lower your body temperature gets. 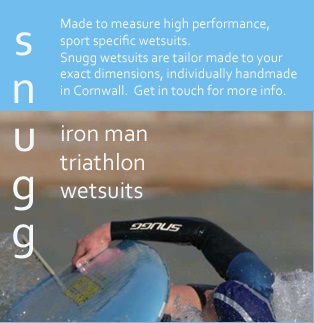 Consider where and what time of year you will be using your wetsuit as a medium thickness might be best for spring or autumn. Protecting your kids is always a high priority around water and a junior wetsuit for either summer or winter should certainly be on your list if they adore the water or are keen on water sports. It is important to get a good fitting wetsuit so that it is not too baggy (which would mean excess water inside the wetsuits making them cold) and not too tight (which would restrict movement or rub). There are sizes charts on our products to help you with measuring up and if you are in doubt feel free to contact our friendly team for some help. Explore our range of surf clothing for when you are not in the water. 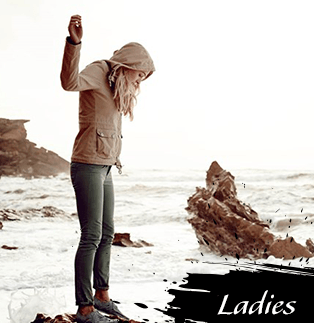 Find fantastic lifestyle, sport and surf brands such as Oxbow, Hurley, Etnies, Animal, Roxy and more. Everything you need for a stylish wardrobe away from the beach including hoodies and jackets to dresses and shorts. Get the latest look from our surf clothing collection for women, men and even the kids. We stock a selection of popular surf brands including Animal which was started by two surfers in 1987 who were frustrated by the lack of suitable watch straps for extreme conditions. Since then the UK brand has gone on to produce clothing and accessories that are both functional and look great. The perfect match for those that want style that can keep up with their sports. 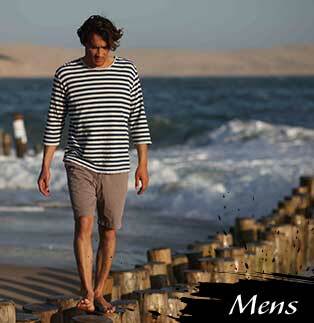 Our Oxbow clothing collection features some stunning items from this French surf brand. Since 1985 Oxbow have been passionate about creating clothing and accessories inspired by boardsports and pushed forward new styles. They became very popular in Europe and not only produce high quality clothing products but also partner with some of the best sports people and hold events. There are many useful extras and surf accessories that will help you feel more comfortable, be safer or improve your surfing experience. From roof racks and board bags to help you get your gear to the beach and back again, to changing robes or mats and cleaning products to sort you out afterwards. Taking care of yourself and your board when in and out of the water is important, so consider whether you need some extra protection such as wetsuits gloves, boots or caps for colder waters and make sure you check your board over to keep it in a good condition. We offer a wide range of surf accessories to keep you well equipped for the waves so feel free to explore and if you have any questions our team will be happy to help.